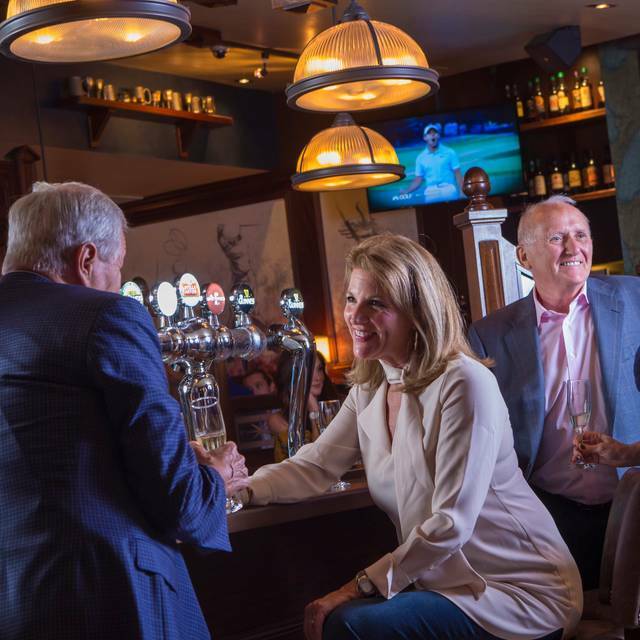 Darren Clarke and Michael Doyle teamed up to create a Family friendly classic! KIDS EAT FREE JUNE AND JULY! Great atmosphere service and food! My only criticism would be that the waitstaff were all (except 1) wearing jeans. I would expect a restaurant of this caliber to have a standard wardrobe that employees wear. Regardless the food was excellent. As always, food was delicious! We have had much better service in the past. Great place to eat on the island. 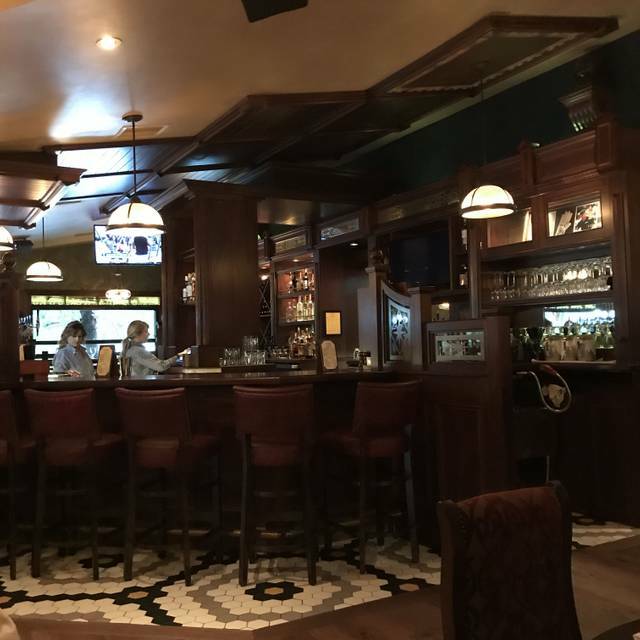 Real Irish pub type feel with amazing food. Highly recommend. Wait staff, namely William, did a great job. Although our server was pleasant, our table was not bussed in a timely fashion. Apps took a long time to come out and quite frankly the staff were sorely under dressed. Way to many visible tattoos and generally had an unkempt look. I don't think that's what they had in mind when opening this supposed upscale restaurant. Staff needs trained properly. Some of our food was luke warm. Dined here to celebrate our 33rd Anniversary and it was fabulous. The Steak and Guinness Pie was huge and savory and just plain wonderful. The rack of lamb was the best prepared lamb I have ever eaten. The lamb was perfectly cooked, served with a wonderful demi-glace and no hint of gaminess that you get with lamb. Tender and super delicious! 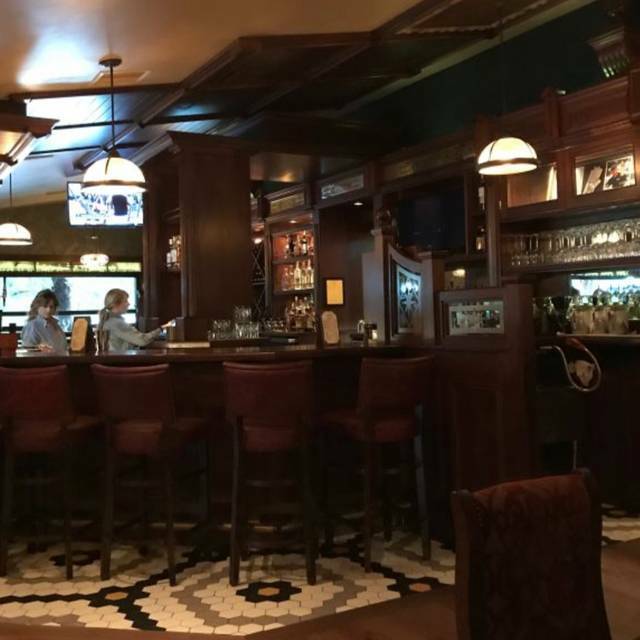 The atmosphere was perfect for a quiet dinner but was also great for dining with a group or family as we could see from the other patrons. The wait staff was attentive but not overbearing and speaking with Chef Drew topped off the evening. If you possibly have room for dessert, the creme brule was extra special! A perfect evening in every way. Very quiet week night. 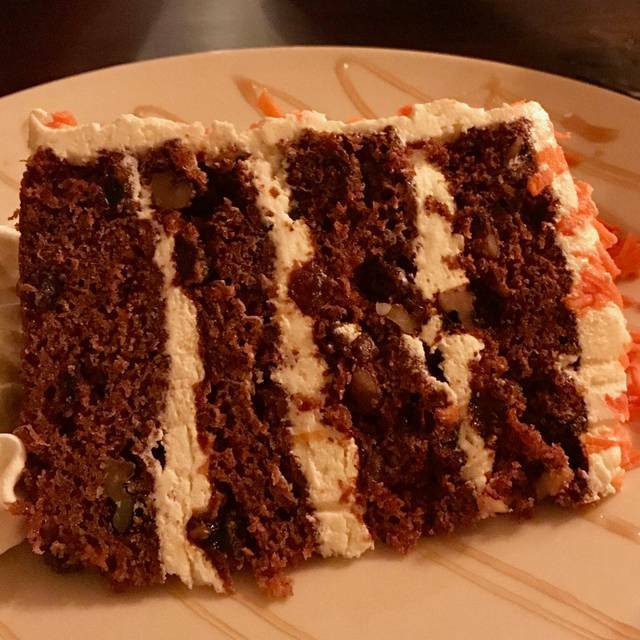 A very nice interior, fairly good service, and very good food. Will have to try lunch! Very few people dining. Waiter was pleasant but ill-trained and stated he was there to support his pregnant wife, who was acting as Manager for the evening. Had to send my wife’s steak back which was overdone. Waiter was not paying attention, but his wife noted our lack of enjoyment and stepped in to rectify the problem. She took back the steak and and had a new one cooked correctly. Both she and her husband were polite, but neither was particularly attentive. Desert was offered but very limited in choices. Of the six different entrees we ordered, one was very good, two average, and three poor (including steaks ordered medium being served very well done). One glass of wine was corked. Server was argumentative. Relatively expensive. Not place we will go back to anytime soon. Our steaks were fsntastic!!! We ate st the bar because we enjoyed our conversation with the bartenders so much. It was a very enjoyable evening! Our new favorite place in Hilton Head!!! My wife and I had our anniversary dinner here. The French Onion soup had very course or rough pieces of onion in it and a very thick piece of bread. I wouldn't ordered it again. I had the 6 oz. filet and my wife the half chicken. The chicken was dry. The filet was OK....but not at the $30-plus price point. The waitress was less than knowledgeable. The first pouring of wine was old. Overall, it was a less than the desired outcome for an anniversary dinner. Restaurant was less than 50% occupied for prime time on a Saturday night while the service was very, very slow. The quality of the food with the exception of the filet was very mediocre and certainly over priced. 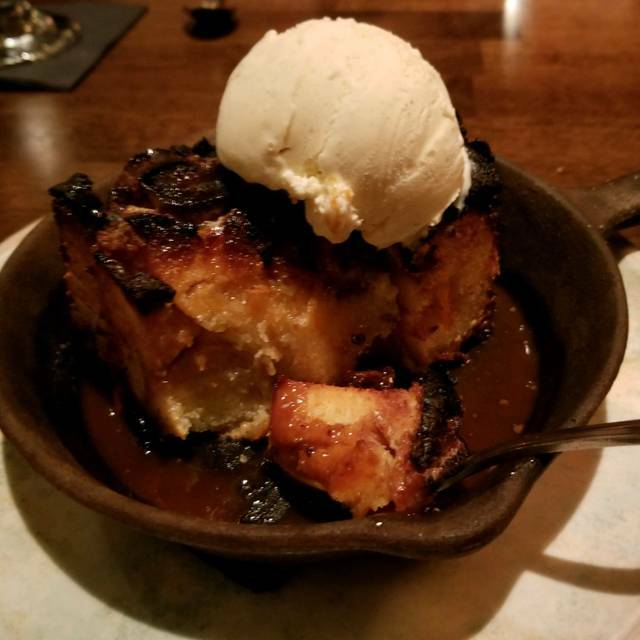 This restaurant was recommended for the “special bread pudding dessert”. We tried to book online but the site would no accept reservations for anything beyond the current day. Arrived at 5:30, just after opening. All 4 of us had the fish and chips and all agreed the fish was good, but the fries were terrible. Very hard, so I suspect they were overcooked, although they did not look like they were. When it came time to order dessert, we were informed the kitchen had only 2 “special bread puddings” prepared. How could this be, it was the beginning of the dining time???? It was replaced with an average brownie. The waitress was excellent and this would be the only reason we would return. We were on the verge of leaving when the waiter finally got to us-- and I had fish and chips--fish a bit overfried & tons & tons of fries to fill the plate. No presentation & not a good meal. We will not return. Love the spot. Got there early. Approached immediately. From time order placed for entrees waited about 45 minutes after asking several times . Food was nothing special. won’t be returning. They were not busy. 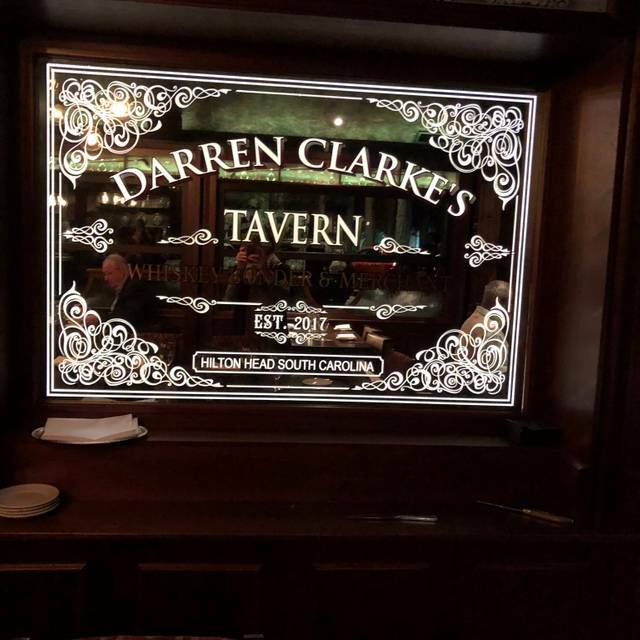 Darren Clarke’s Tavern is an upscale Irish pub in Hilton Head. The food was excellent!! However, that is the only good thing about our experience. The service was very slow and at the end of our evening as we were getting our checks, the server had to come and ask us twice to tell him what we ordered. We were seated for over 30 minutes before we even got our menus. We had already ordered our drinks (without seeing a drink menu) and didn’t find out until we received our bill that the wine we chose was way overpriced!! Other restaurants in the area charge about half the price per glass for the same wine. Our husbands ordered Guinness and paid about $2.50 more per drink that other places in the area. In addition, the men’s room was completely out of towels and toilet paper. When my husband came out of the rest room, he spoke to 3 employees who were standing around doing nothing to let them know. Their response was totally inappropriate. When we entered we were pleasantly surprised. The atmosphere was very nice. It felt very cozy and warm. But, unfortunately the longer we were there, we experienced very slow service and observed others who were doing the same. Also noticed people who had waited to be seated , only to leave within in minutes. When we did get our food it was very good, but I don’t feel I can recommend it, because of the poor service. Could be a very nice place to go, if they can improve on their service. We had the rack of Lamb. It was excellently flavored and a nice amount of food. Great service. I would go again. It is hard to rate some things such as noise level because they weren’t very busy when we were there. The food came out in a reasonable time but they only seemed to have one server and the hostess. Drink refills were never offered and I had to ask for more water. The house salad was excellent and the rest of the food was very good. Joey took great care of us. Rib steak was perfect. Manhattans were Devine. Short rib was very ample and delicious. Server was very attentive and quick to replenish drinks. We have dined before and liked it. Food this visit was disappointing. Lamb chops were over cooked and lacked a good presentation. French onion soup was good but lukewarm. Shephard pie and Steak and Guiness pie VERY SALTY. Did not enjoy. Our food was great and the golf decor was a bonus! Very nice atmosphere, service was good and food was awesome! GREAT steak!!!!! We had a very good meal and the staff and service was outstanding, you felt like you were part of the family. Wonderful food, we loved everything! The calamari was the best ever, the fish and chips were excellent, and I loved my steak and Guinness pie. We will definitely be back! The hamburger and steak sandwich were quit good but the fish&chips were average...IF I had a restaurant I would have the best fries in town..people would come to me just for fries...we will return and try some of the 'irish' dishes. Exceptional atmosphere. Our server, Taylor was outstanding. Service was excellent. Waiter knew all the dishes and how they were prepared. Delmonico steak was cooked to perfection, which was exactly like I asked. Slow night (Thursday) no chicken, no pork chops, service borderline. Ordered soup never came, had to remind waiter, other guest received incorrect appetizer. 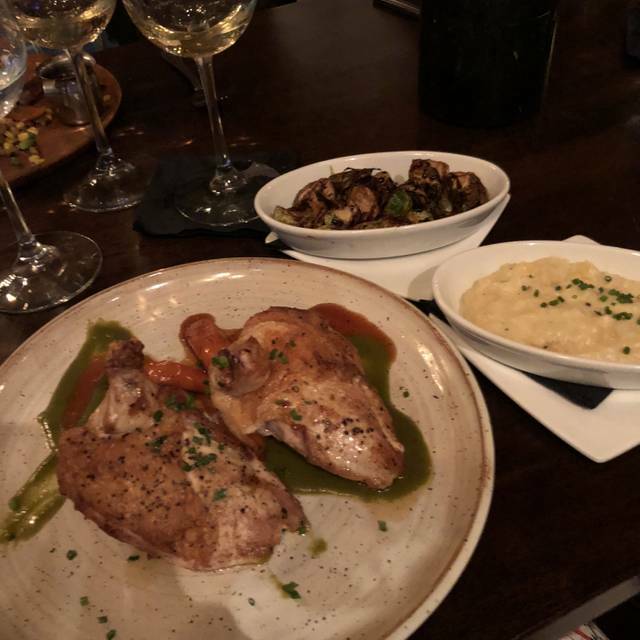 Ambiance was good, but other than that I would never recommend this restaurant, prices should dictate service and quality, but this restaurant misses on all important restaurant prerequisites. All previous reviews stated the same problems or issues yet our party ignored these and tried anyway, what a shame! Excellent service and food! Best fish and chips I've had!! Highly recommend it. This was my wife and my first visit to Hilton Head, and our second restaurant visit of the vacation. The tavern has a lovely ambience and decor. Easy to make a reservation, and very welcoming. We both had the Tuesday evening special of Prime Rib and it was extremely well prepared and very tasty. 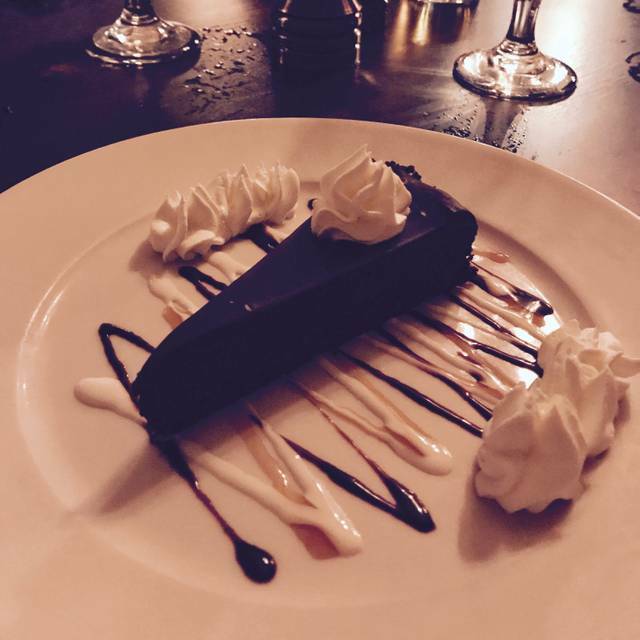 We can thoroughly recommend the Tavern, and we will definitely be visiting again before we leave the Island. Our server was friendly but did not know what they were out of. It seemed every time we ordered something, we later found out they were out of it. Then when I asked for a box for my leftovers he took it into the back and it was accidentally thrown out. Fantastic atmosphere. Great food. LJ was our waitress and she was amazing. Highly recommended!